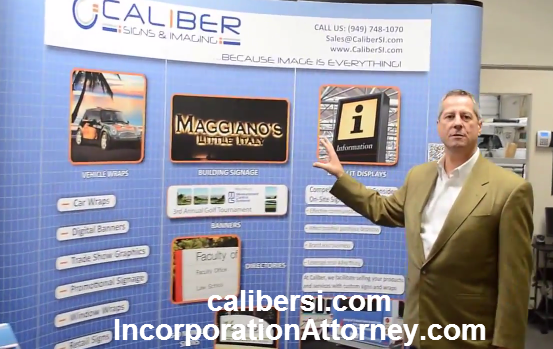 Vehicle Wraps Orange County Attorneys Caliber Client Story . Tim: This is an interesting setting for an office, Andy. Where are we? Andy: It is. I’m actually out in the middle of a park here in Orange County, California. Not really. Actually this is a full size screen shot that has been expanded and placed onto a large wall here. I’m at the offices of one of my clients, Martin Neil, who is the owner of Caliber Signs and Imaging. My name is Andy Gale. 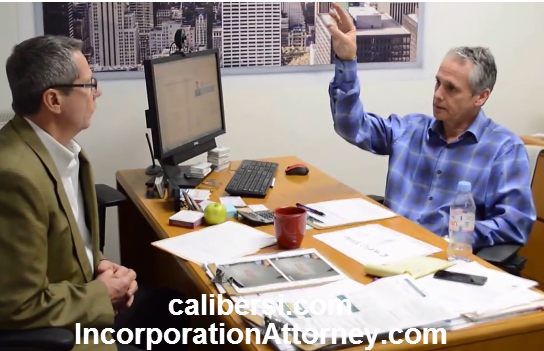 I’m a business lawyer Orange County and we are in the process of creating a series of videos that highlights some of the things that my clients do. Being a business lawyer, a lot of times it is very difficult for people who are new to my business legal services to understand exactly what it is or more importantly the kinds of clients that I have. So this is going to be one of those times when I can introduce one of my clients, and this is some of the things he does. He is primarily known for creating incredible different kinds of signage, from small signs as you can see an office is here to signs on doors, incredible variety of colors and lit signs. He’s done work for Maggiano’s, which is an incredible restaurant here in Orange County and he does car graphs, probably the biggest job he’s ever done. For Disney studios, everybody knows the Disney buses, he did 20 Disney buses at one time. We’ll talk to him a little about that today. Martin: The tower 17 floors up it illuminated. If you see the top of building signs, it’s one of those. Tim: What’s the building called? Martin: It’s called The Waterfield Tower and the company is taken a floor to the building as the major tenant. They were out with the signage. They were called WFG Title Financial Insurance. Andy: So in order for me to see letters that call out their business name from a distance while I’m on the road, how big those letters need to be in reality? Martin: They have to meet a sign code, so it makes our job easier, but you’ve got to make them visible. We try to go to the maximum size. We’re talking about 48-inch letters of 4 feet height letters. Andy: So, tell me. Who are you and what’s the name of your company? 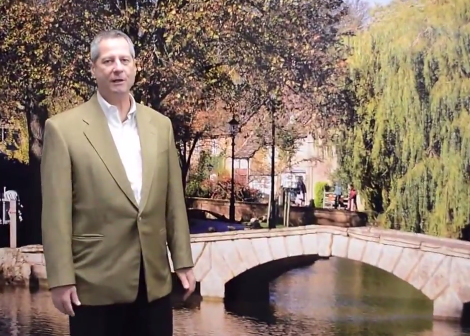 Martin: My name is Martin Neil and I’m the president of Caliber Signs and Imaging. We started late 2009, so we’ve been just going past the 4 year mark now. The type of signage that we offer is a wide range of signage from, as we were talking about, the illuminated building sign through to interior signs like lobby sings, suite signs, that kind of thing, all the way through large format graphics. We love to do and we do a lot of vehicle graphics. Andy: When you say a vehicle graphic, what does that mean, like if I need a spray paint job done on my car or something different? Martin: This is printing technique on vinyl with an adhesive back. They call them wraps. So, you see vehicles running around town, trucks and vans that are advertised in businesses and services. So, we will create the artwork and the graphics to print onto the vinyl that we wrap onto a vehicle much in the same way that you would put wallpaper on the wall. Andy: So is there any kind of limitation in terms of the graphic that you could put on the car? Martin: No real limitation. It has a life span of 3 to 5 years. You can take a photograph that you shoot on your camera. High resolution images can be printed on our printers for maximum effect and impact on these vehicles that you see going down the freeway. There are new kinds of advertising market in this no more than six years old. Andy: Let’s say that I ran a pizza store and I’m really trying to get some feasibility, get some traffic coming into my store. If I wanted to take a photograph of a pizza coming out of an oven, could I take a high resolution photo like that and bring it to you and you could turn that into something that I could cover my car with? Martin: We can do more than that. We can put it on the car. Most cameras now, you know, high resolution, 18 megapixels. Most cellphones have 8 megapixels and up. So, that’s perfect resolution for printing on a vehicle wrap. We can do it on wall murals like this image here. We can do it on canvas and create artwork that can become very custom and personalized. There’s a lot of media that we can print it on. It just depends on what the application is. 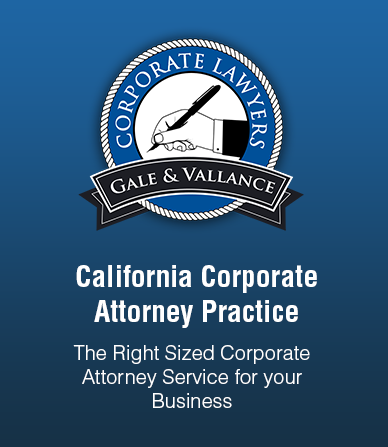 If you are starting a business or in need of business legal services, just contact Gale and Vallance Orange County Attorneys.